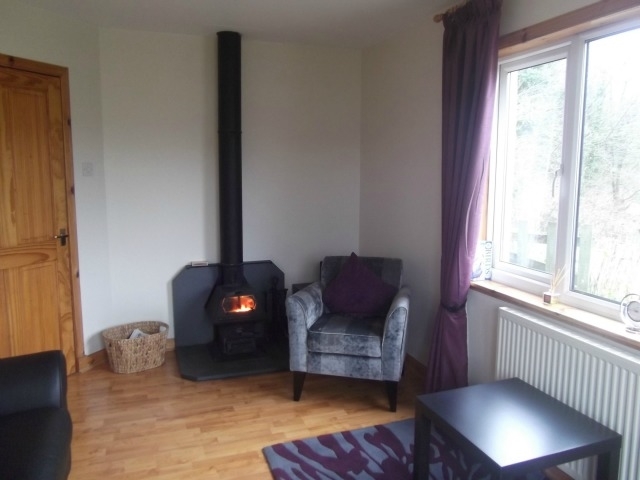 Willow Cottage offers quality self-catering accommodation on the edge of Galloway Forest Park, on the approach to Kirroughtree Visitor Centre and enjoys breathtaking panoramic views over Palnure Burn and onto Cairnsmore of Fleet. Willow Cottage offers the perfect base should you wish to access the acclaimed 7 Stanes Mountain Bike Trail or simply just relax and enjoy all that Galloway has to offer. The town of Newton Stewart is only 5 minutes away and the delightful family beach at Mossyard can be reached in 15 minutes. Willow is a family holiday cottage that we hope you enjoy as much as we do ourselves. 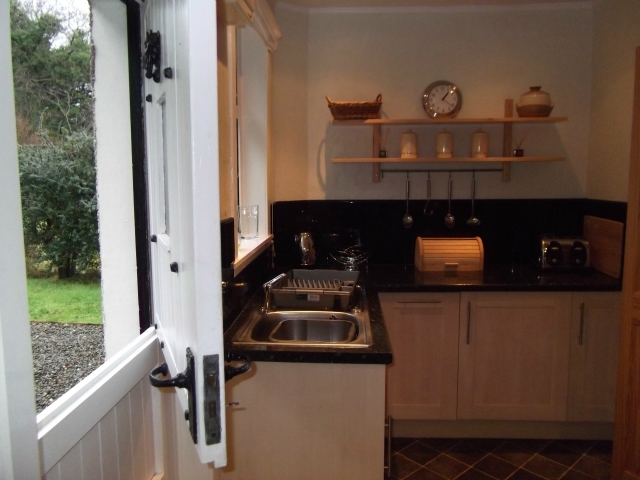 Lets are generally on a weekly basis but short breaks can be accommodated too. Please contact us to enquire regards availability. Two family dogs are welcome by arrangement. The lounge is bright and welcoming and especially comfortable with the log burner ablaze in the evening. 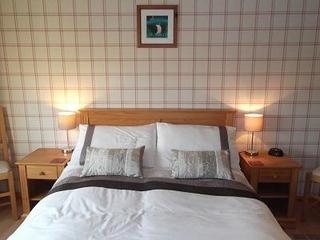 You will find a fully equipped kitchen and two well appointed bedrooms complete with feather duvets. Linen, towels and beach towels are provided for your comfort. Wall-mounted flat screen TV’s with DVD’s and free Broadband are provided for your enjoyment and for those lazy days at home there is a Wii Console, a range of family games and a selection of books and DVDs. The South facing fully enclosed garden is the perfect location to relax and enjoy the views or maybe even make use of the barbeque supplied. On the edge of the Dark Skies Park, the cottage sits on the edge of the Galloway Forest Park on the approach to Kirroughtree Visitor Centre and is therefore ideal should you wish to access the acclaimed 7 Stanes Mountain Bike Trail. Cyclists are welcome to use the dedicated cycle shed and also the bike wash facility. Electricity and gas are included, along with the first supply of logs. We look forward to welcoming you and hope you enjoy your holiday. Complimentary bottle of wine or locally brewed ales to welcome our guests. Patio with view. Patio with view. Dining Room with media Fully fitted kitchen with dishwasher and stable door. 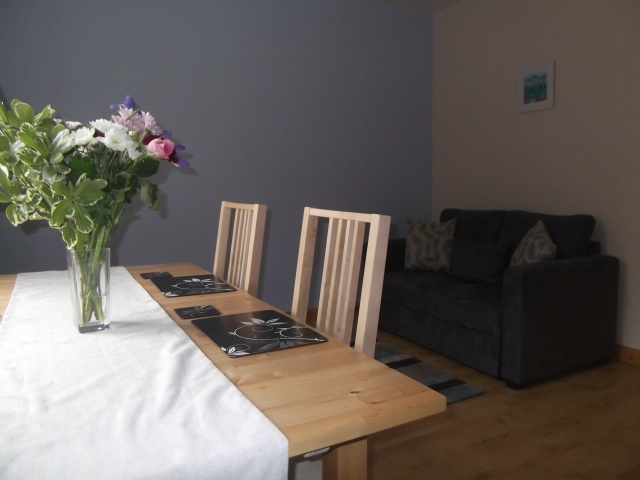 Bright dining room where you can also relax watching DVD's or playing the Wii console Shower over bath. Bright Living Room. 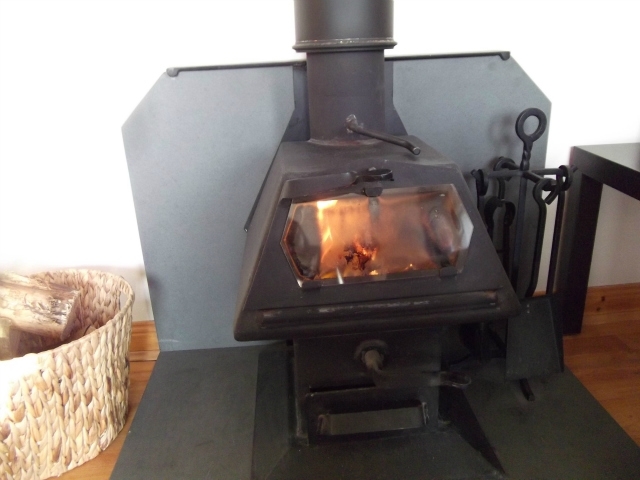 Woodburning Stove in Living Room. French doors out to the garden. Comfortable double bedroom Bright Twin Room Bathroom. Enclosed garden. Enclosed garden. Welcome Tray.